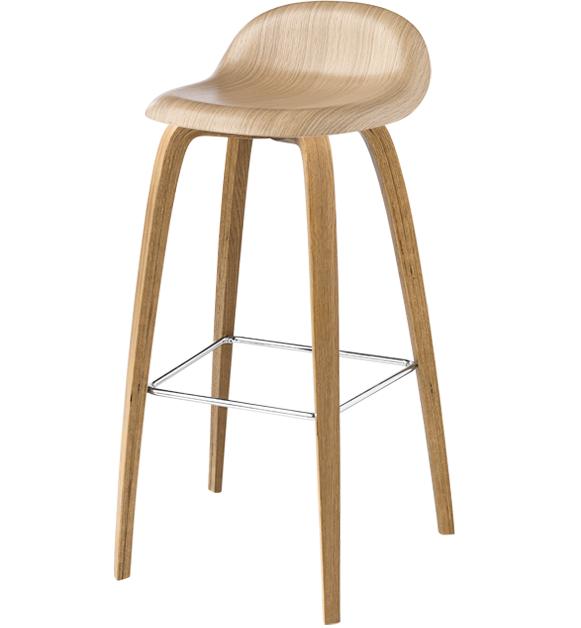 GUBI 3D is a non-upholstered bar version of the GUBI Chair with the four-leg wooden base in oak, American walnut or black stained beech. 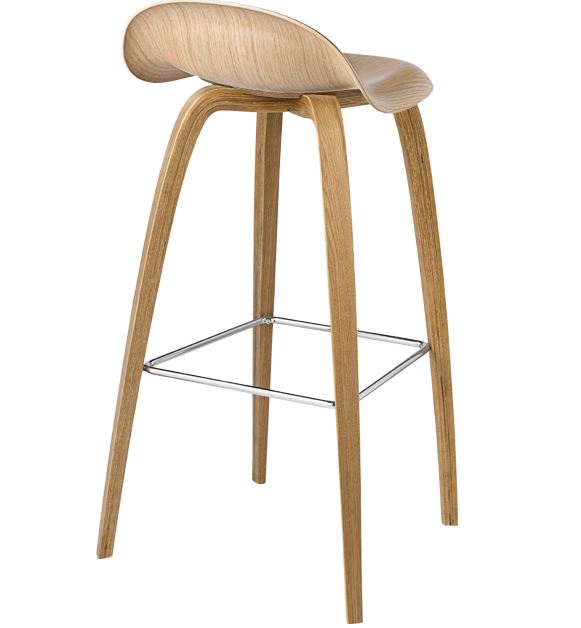 Shell is available in oak, american walnut, beech, black soft coating, plastic. chrome, non-stackable. 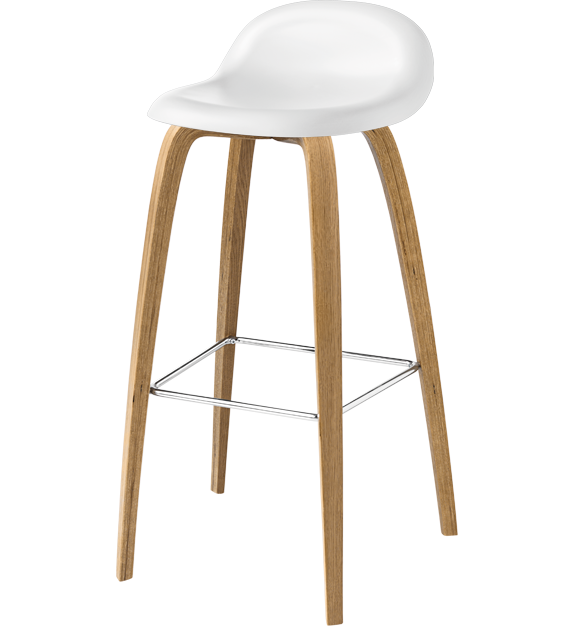 Seating height 65 or 75 cm. Bar shell shown in black stained beech and HirekOrange Sweet and white Hirek. H: 74/87.5 x L: 47 x W: 44 cm. 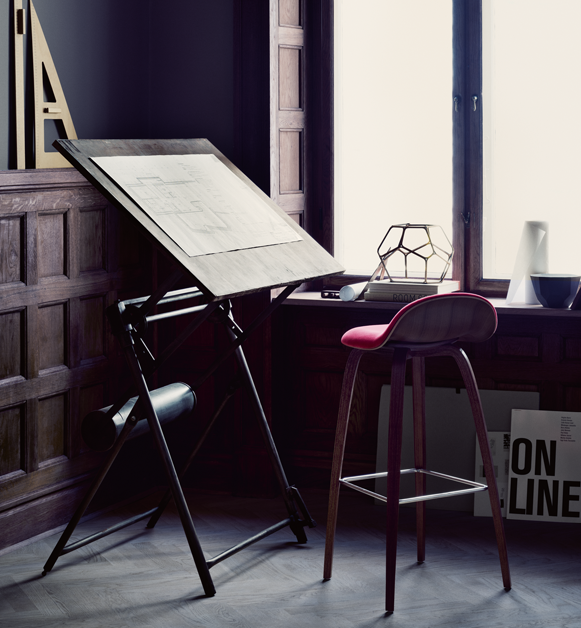 About the GUBI chair collection. 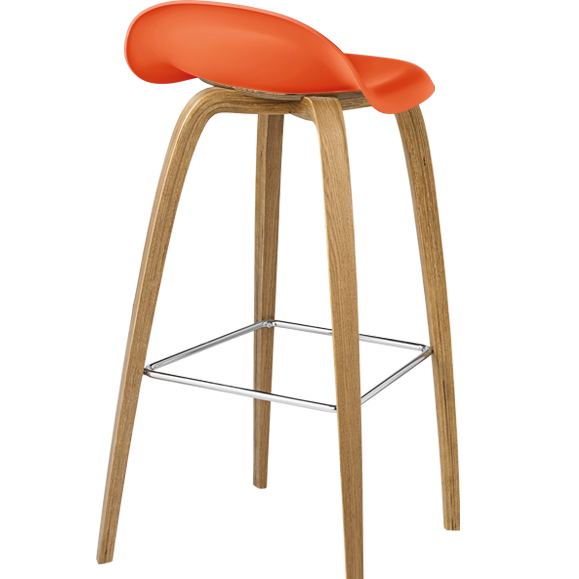 The GUBI Chair Collection is a chair and table series in laminated moulded 3-D veneer. 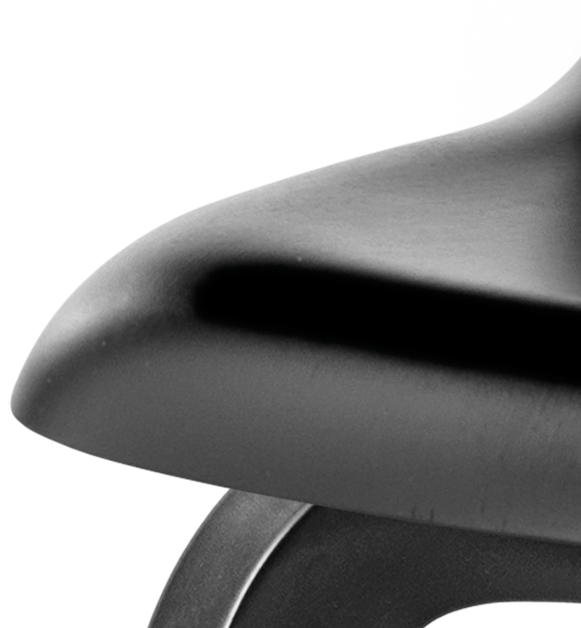 The shell is also available in the injection moulded HiRek material. The shell is 5 mm thick. Both types of the shell can be delivered unupholstered, with front padding or fully upholstered in fabric or leather. 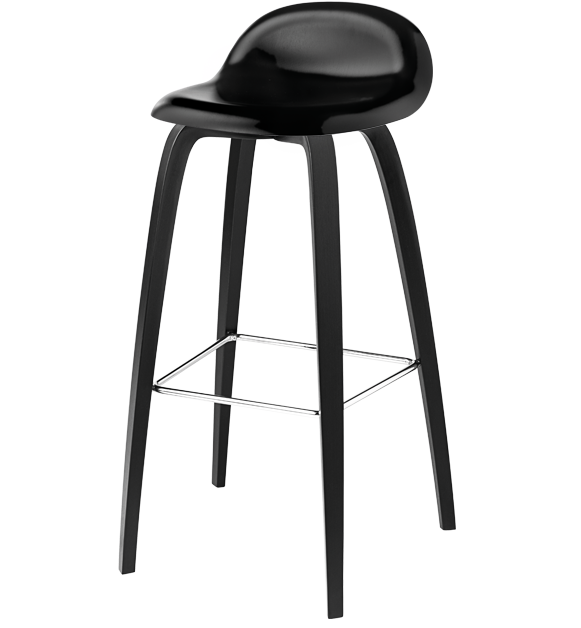 The base is available in chromed, satin, black painted steel and moulded wood in various finishes. 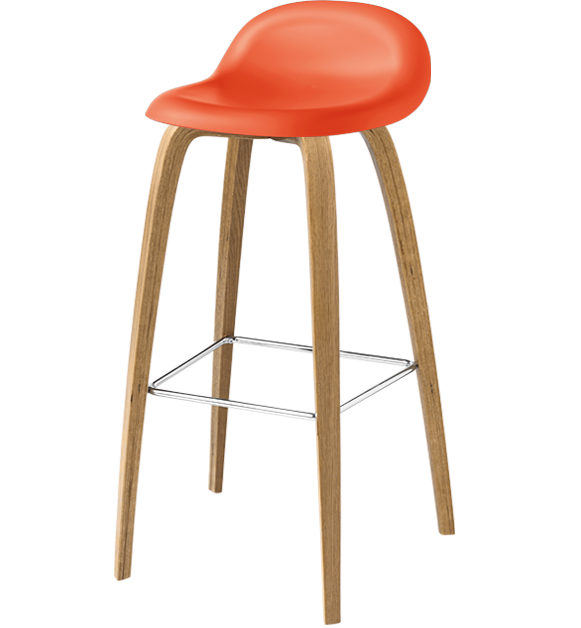 Several of the chair versions are stackable. 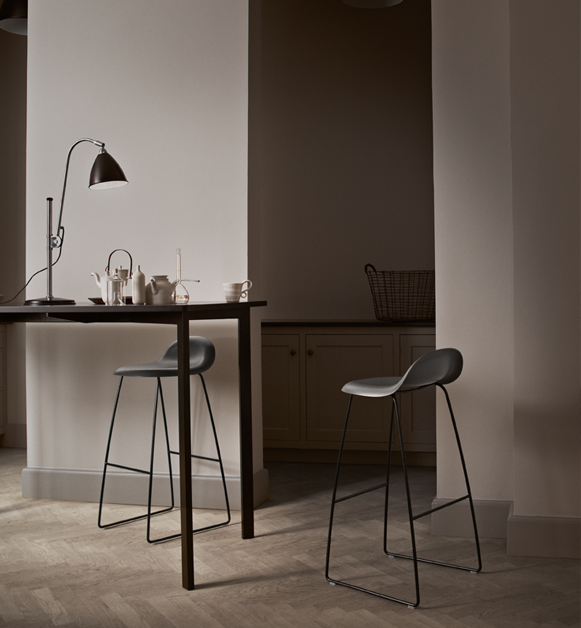 The GUBI Chair series comprises a café chair with and without arms, a bar stool, a lounge chair and a table series in 3 different heights. 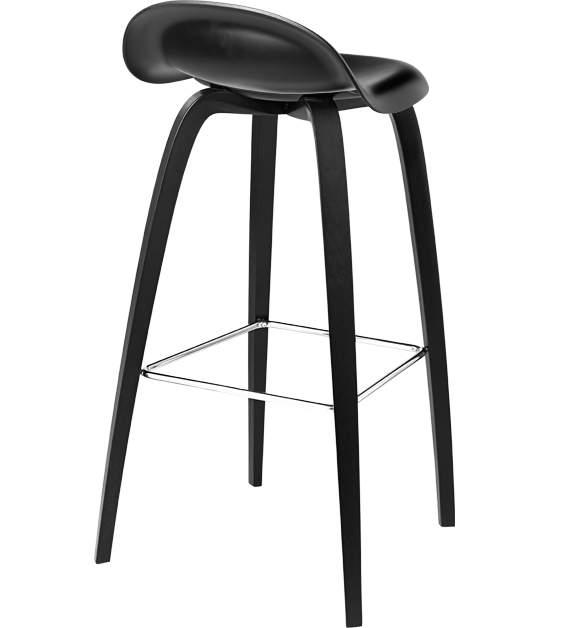 The Gubi chair was designed in 2003, has won numerous design awards and is included in the permanent exhibition at the Museum of Modern Art in New York. Contemporary interior design is simple, clean and offers an uncluttered look. The furniture that best suits this style features clean-cut lines and striking colours or the innovative use of materials. Individual, unique pieces of furniture are the key to contemporary style. One of Gubi’s most innovative products, the Gubi Chair collection, was designed by Boris Berlin and Poul Christiansen of Komplot Design. 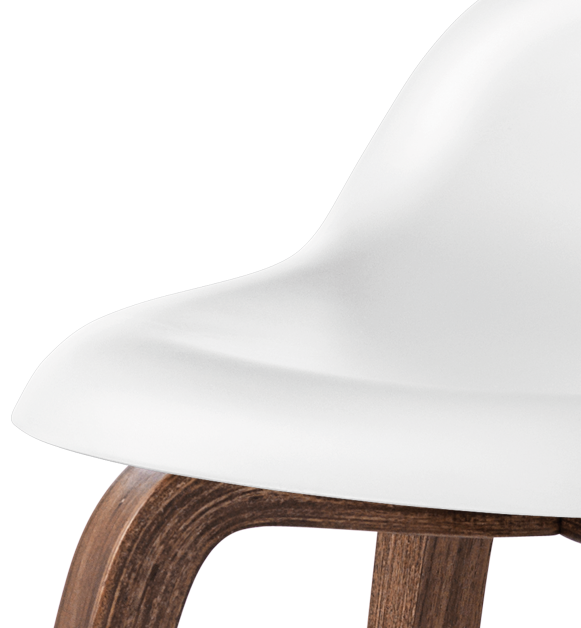 The Gubi Chair is the first furniture design to be based on the innovative technique of moulding three-dimensional veneer. 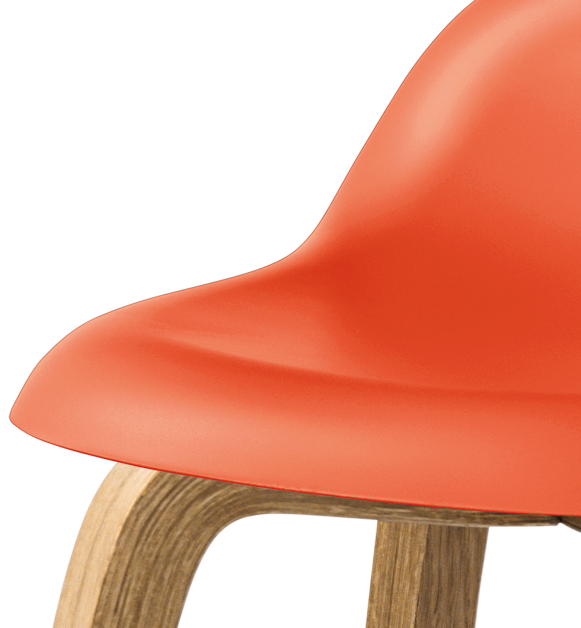 The 3-D design gives the chair a comfortable seat and sense of lightness. Ground-breaking technology allows the thickness of the veneer to be reduced to half that normally used. The Gubi II chair is eco-friendly as the seat and back are made ​​of polyester fibre, extracted from used plastic bottles and transformed into felt. In one single process, two mats made from this felt are moulded around a tubular steel frame whilst the edges are cut by a powerful jet stream of water. Simple, minimal style, combined with great strength and low maintenance makes the Gubi Chair II equally suited to private homes, commercial spaces and public places, such as restaurants, cafeterias and museums. 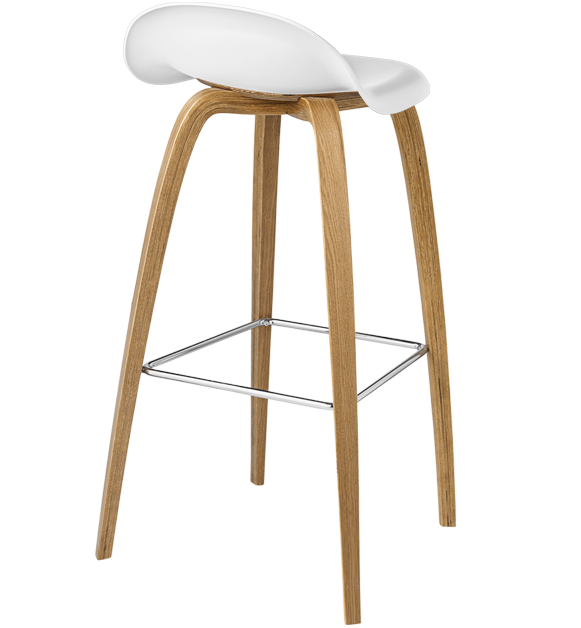 The Gubi Chair II was designed in 2006 and has won a number of design awards, recognised for its highly innovative and sustainable approach to furniture design.